Tammy Jean Kowalski obituary. Carnes Funeral Home. Tammy Jean Kowalski was born in Bristol, Connecticut on March 28, 1959, to Gwendolyn Loarraine Fries and Louville Harold Kimball. She passed away surrounded by her family and friends on Saturday morning, February 27, 2016 in Nassau Bay, Texas. Tammy is beloved by her relatives she leaves behind: Brother, Louville Kimball (Billy) Jr. and family of Bithlow, Florida. Her sons; Michael Dyall and his wife, Ebon, of Hondo, Texas, and their children Danielle, Jacob, Matthew, Reilly, and Cash. Brandon Dyall and his wife, Alesisa, of Pasadena, Texas, as well as their children Charles and Elizabeth. Shawn Kowalski and his wife, Lauren, of Seabrook, Texas. Daughter, Christina Rosser and her husband, Matt, of League City, Texas, and daughter Rory. She also leaves behind her two step-children whom she helped raise, Cynamin Anthony and Bryan Dyall. She is also survived by her two ex-spouses, Anthony Kowalski and Wallace Dyall and family, whom she maintained a friendly relationship with. Tammy also left behind her close friend, Eddie Carmichael. 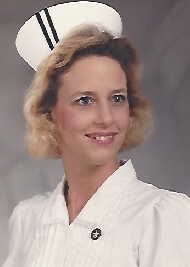 Tammy was a Registered Nurse and always said the nursing profession chose her. She attended nursing school in both Florida and Texas. Education was always very important to Tammy, and in 2008, she received her Bachelors of Science in Nursing from the University of Texas Health Science Center at Houston. She worked as a bedside nurse for over thirty years with nineteen years at Houston Methodist San Jacinto. Tammy worked wherever she was needed, but most notably in the ICU, Cath Lab, and Labor and Delivery department where she touched the lives of the many patients she helped. Tammy was never afraid of a challenge, and would never complain when given the most difficult assignment. She loved her co-workers and was always willing to help out however she could. She was also a member of the American Nurses Association and Texas Nurses Association. There was nothing that made Tammy happier than getting to spend time with her children. She was a boy scout leader for her sons when they were younger, and would always take the whole family on campouts and to events. Tammy made sure she took all six children to church every Sunday she was not working. She thoroughly enjoyed watching her daughter cheer in High School, and never missed a game or performance. She was always game for learning new sports or hobbies, such as bowling, surfing, golf, hunting, or bow shooting to name a few. Tammy never said no to an experience. The family would like to offer special thanks to the hospital staff of Houston Methodist St. John, especially the ICU, where she received the absolute best nursing care. The care Tammy received would have restored her faith in the profession she had devoted her life to. Tammy also received excellent care at TIRR Memorial Hermann, where she spent a month learning how to live with her disabilities. A viewing will be held on Friday, March 4th from 7-9 pm at Carne’s Funeral Home in Texas City. The funeral service will be held on Saturday, March 5th from 12-2 at Carne’s Funeral Home. There will be a private graveside service for immediate family following. The family will be hosting a reception at 5 pm at Sunset United Methodist Church in Pasadena to celebrate the amazing life of Tammy, and all are invited. Everyone that knows Tammy, knows how much she loved pearls and the color purple, so the family is requesting these be worn by guests.